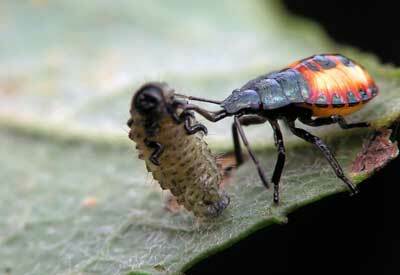 How to properly use beneficial insects to control garden pests. 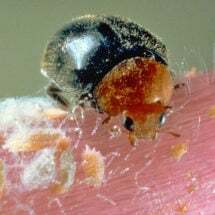 The major disadvantage which continues to erode the effectiveness of conventional insecticides is the ability of the pests to develop resistance. Approximately 500 insects and related pests (mites) have shown resistance. In fact, some cannot be controlled with today’s chemical arsenal. Even chemicals which are effective against pests often kill or interfere with beneficial insects and other organisms. The situation created then allows an insect (not the usual pest, but another insect taking advantage of the available food) to rapidly increase in number since no predators are in the field to prevent the population explosion. Sometimes the resulting (long-term and economic) damage is greater by the secondary pest than by the pest originally targeted. Shop our large selection of beneficial insects, including live ladybugs, at Planet Natural. One half pint — 4,500 ladybugs — treats an average size garden and FedEx 2-Day shipping is FREE! Got pests? Visit our Pest Problem Solver for pest pictures, descriptions and a complete list of earth-friendly remedies. 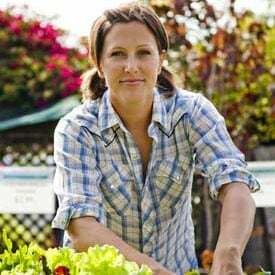 Identify the pest – not all insects are pests! Establish a correct level of acceptable damage – not all pests are of economic importance. Monitor the pest situation on a regular basis; sometimes no control is required. If the pest population is high enough to cause economic damage, use all available, acceptable means of control, including cultural, biological, mechanical and natural or botanical pesticides. Regular releases of beneficial insects (as a preventative and control measure) is now part of “conventional” farming IPM and should be considered and properly implemented. Record results to use in future strategy – preventative measures require planning ahead. When we farm or garden (especially in a monoculture) we are changing the environment to favor that which we wish to grow. 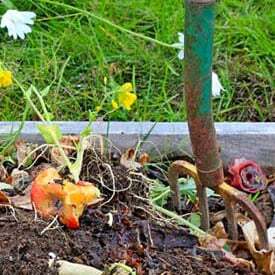 We may remove weeds, fertilize the soil, provide additional water, etc. However, our first visitors are sure to be attracted to this new food. Generally, the plants attract a variety of plant feeders which eventually attract predators and parasites. The time between arrival of the pests and the arrival of the enemy can be costly. Scientists worldwide are continuously searching for natural enemies to introduce into pest situations. Commercial insectaries mass produce a number of beneficial insects that have already proven to be successful in reducing pest populations enough to greatly reduce or eliminate chemical control. 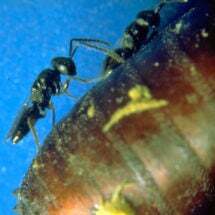 An aggressive, non-stinging parasitic wasp used to control greenhouse whiteflies. Whiteflies are harmful to both outdoor and indoor plants by sucking plant sap. Under certain conditions, they can also transmit disease. 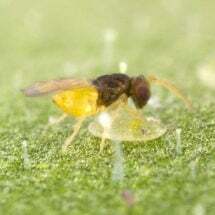 The whitefly parasite lays its eggs — as many as 50 to 100 — in both pupae and later larval stages of the white fly, destroying them before they can become adults. Identify the primary pest (secondary pests are often just as important as primary pests but are usually “created” in response to chemical control attempts aimed at the primary pest). Identify enemies of the pest. Include this information in your pest control strategy. When possible, choose the more specialized predator/parasite available. For example, the trichogramma wasp is an egg parasite of more than 200 species of moth and butterfly eggs, thereby preventing the damaging caterpillars from emerging. But, once emerged, the caterpillar is preyed upon by various general feeders, a host of parasites, perhaps viruses, even vertebrates. Your major line of defense is the egg parasite. 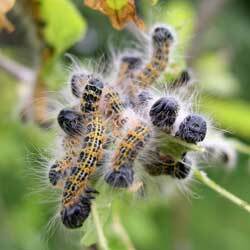 By reducing the initial number of caterpillars present to damage the plant, other natural pest controls may be sufficient to keep pest populations below the economic damaging level. Predatory mites are well suited for introduction to control pest mites. Making the proper choice is crucial (refer to literature on mites). Most natural predators/parasites are not commercially available; many are actually still unknown. But, information is available to aid in the best choice of those predators/parasites that are available today. Proper timing is a crucial aspect of natural pest control when releasing beneficial insects. For parasites a host must be available. In some cases (i.e. Trichogramma spp.) regular releases are possible since a number of hosts are available to allow the population of parasites to increase before the target pest is present. 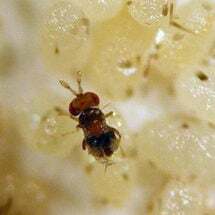 But, when using a parasite of a particular life cycle stage (Trichogramma is an egg parasite) the parasite must be present in sufficient numbers when the target pest is present. For example, Trichogramma will be of no help if all the eggs have already hatched into caterpillars. The whitefly parasite Encarsia formosa, on the other hand, should not be introduced without the actual whitefly being present. And, while some predators are able to survive periods without a food source, most do require a continuous food supply. So, if the predator is specific (i.e. 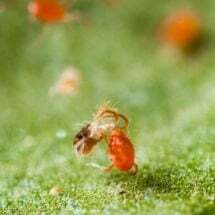 predatory mites to combat spider mites) introduction must be made when the pest is present (or even with the pest) but before the pest population is too high to achieve adequate control. On the other hand, if the predator is not specific, introduction may be made as long as some food source is available. 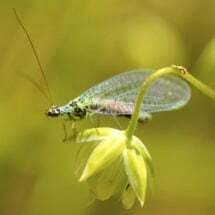 Beneficial insect releases made over a period of time will allow the predator population to increase. 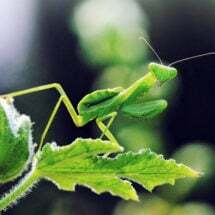 Deliver a sufficient amount of beneficial insects in good condition as close as possible to the target area. In some cases proper application really is just a matter of good planning and handling of the shipment. Always take proper precaution for receiving the organisms and maintaining a proper reasonable environment before they are released into your field, orchard, greenhouse or garden. After all, proper handling is essential in order for these organisms to survive, function and flourish. The rate of application can be very important. Guidelines are available for any of the commercially available beneficial insects. Again, do NOT wait until the pest population is too high. You can save money by properly timing your release. Methods of application vary from manual ground releases to aerial releases over large acreage. Much is lacking in the practical application of present delivery systems. However, the increased interest in large scale delivery systems is very promising. These predacious mites are the carnivorous cousins of leaf-feeding spider mites and other pestilent mites that feed on plants. Spider mite predators are about the size of a two-spotted spider mite, are orange or tan in color, have no spots, and are shinier and more pear-shaped than their prey. 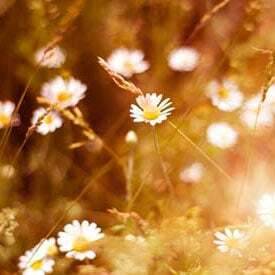 One of the most important aspects of natural pest control is maintaining an environment that favors beneficial insects as much as possible. In some cases cover crops properly maintained will offer an abundance of predators and parasites. The introduction of commercially reared natural predators/parasites will be most successful when temperature and humidity factors are considered. 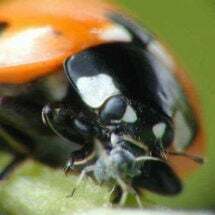 Optimum conditions are maintained during production; care is taken to ensure proper shipping conditions (beneficial insects are usually shipped in the most protective stage of their life cycle); proper handling at destination is very important, i.e. do not leave in hot mailbox or vehicle; and proper application includes temperature consideration (do not apply during the hottest part of the day). Also, consider known requirements when selecting the species (i.e. some predatory mites require a minimum relative humidity of 60%, others 40%). We can draw on extensive experience in combining field releases of beneficial insects, field monitoring and consulting on many phases of natural pest control. When dealing with live beneficial insects having a short “shelf life” advance planning is very important. Equally important is having a reliable source for your natural predators and parasites once you have made the decision to utilize them. Please contact us as early as possible to “reserve” your order. One of the most important aspects of supplying beneficial insects is quality control (QC). Every day (and sometimes nights) the insects are monitored for emergence, reproduction rate, aggressiveness, etc. Samples are taken before shipments to insure optimum quality. New techniques developed by our insectaries, the USDA and universities can be immediately implemented into production to improve quality and efficiency. Our insects are reared in environmentally controlled buildings. But, when insects are raised in unnatural conditions, tests have shown that their searching ability, aggressiveness, etc. may decrease after a number of generations. To insure maximum effective insects, we obtain “starter” cultures directly from Mother Nature and begin the process all over again. Our goal is to supply you with the best possible product to help you control pests safely, effectively and economically. Planet Natural guarantees live timely delivery of a quality product. Effective against all species of mealybugs and will also feed on aphids and soft scale. The Mantis is about the best predator around. This time of the year (early spring) is the best time to search the edges of pastures and fields around parks for egg cases. They are found on the thin twigs of bushes. Clip them with pruning tools and hang them by short strings about 6 feet apart around your garden. 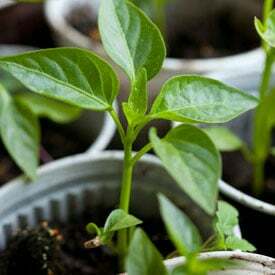 They will hatch 50 to 100 little bug eaters about the time your seeds germinate. They will venture about looking for food. You will notice that by the end of the season you will only have one or two big fat ones. If you have any short bushes they should have two or three egg cases that will winter over till next spring. Bear in mind that they need food sources – meaning you need to keep feeding them the pests. Beneficial predators follow and/or seek food sources. If you do not have bugs, they will not stay. That being said, consider a bat house (one bat consumes 1,000s of bugs each night). Purple Martins do the same (a bird). Of course, attracting crop-eating birds isn’t swift). I am a certified Master Gardner in the state of Texas. Texas A&M Collage sponsors our program. We are thought to push the use of chemical pesticides or else! Texas A&M received huge grants from the producers of chemical pesticides. I fight them tooth and nail over this practice! We are losing our pollinators, hence our food crops are in danger. The bees are in extreme danger of being eliminated. I have a two acre garden. I use no chemical pesticides or fertillzers. MY GARDEN THRIVES ON THIS DESERT. Nature is in balance here. We have birds, bees, butterflys and many beneficial insects. Spread the word -WE DO NOT NEED CHEMICAL PESTICIDES!!!! KEEP NATURE IN BALANCE-LEAVE IT ALONE! LET NATURE DO ITS THING, AND ALL WILL BE RIGHT WITH THE WORLD!! !